Design direction, UI Design, UX Research. Jetty is the world’s first company designed specifically to help city dwellers protect and ensure their homes and things they love. A small team at Studio Rodrigo worked closely with the founders to create a thoughtful and simple quote experience that would allow buyers to get the right coverage, understand what’s covered and easily get set up. No boring and confusing insurance jargon. We designed a few experiments to optimize customer acquisition and increase retention, including a new one-click quote flow that increased conversion by +30%. 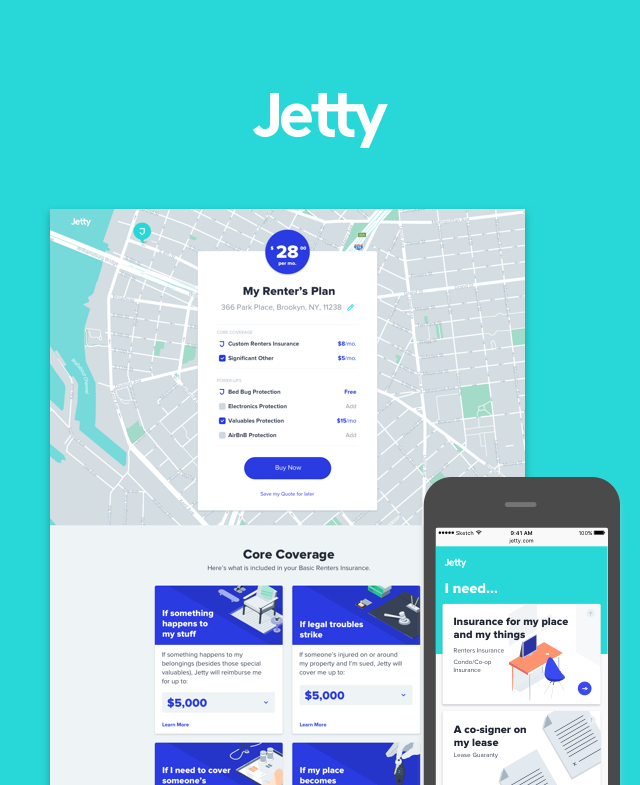 Jetty has now rolled out to +40 states in the United States. 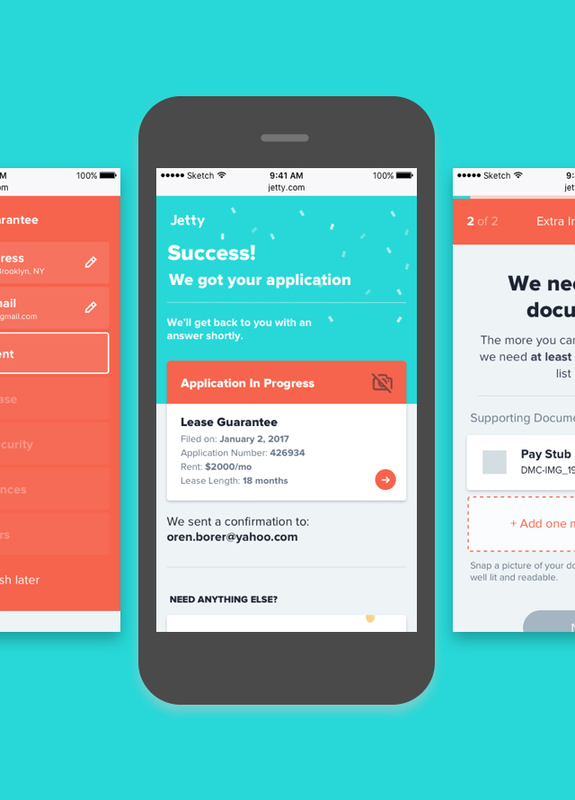 Complex and boring forms where streamlined and redesigned as mobile-first experiences. No more corporate insurance (yawn) lingo and confusing hidden fees.